Steel shot blasting is the most generally utilized process in sand and shot blasting enterprises for cleaning, stripping and enhancing a metal surface. The review or size of steel shot will decide the complete accomplished on the surface of the metal. Small steel shot will result in a smoother and increasingly cleaned surface. Bigger steel shot will clean more forcefully yet deliver a rougher surface. Both air fueled and wheel blast machine can be utilized to quicken the steel shot onto the surface of the part. Because of the hardness and thickness of steel shot, it tends to be reused as much as multiple times previously substitution. Since steel shot does not utilize an abrasives procedure, a negligible measure of residue is made in the impacting procedure. Our steel shot keep on discovering wide and developing applications in various markets, for example, car, aviation, horticulture, development, foundry, mining, railroad, shipyard, stone cutting, office machines, petrochemical, and other significant businesses. It uses fine steel media to clean, descale and expel rust from parts. Parts are “splashed” with shot, like sandblasting, uncovering the first brilliant metallic appearance. The reestablished surface has a uniform brilliance, upgraded for lube attachment. Blast cleaned steel diminishes wear on shears, punches and move formers by evacuating grating factory scale. This can permit quick painting. Blast cleaning likewise disposes of the requirement for post manufacture cleaning process. Shot shooting comprises of assaulting the surface of a material with one of numerous sorts of shots. Regularly this is done to evacuate something at first glance, for example, scale, however it is likewise done some of the time to confer a specific surface to the article being shot impacted, for example, the moves used to make a 2D wrap up. The shot can be sand, little steel balls of different widths, granules and so on. 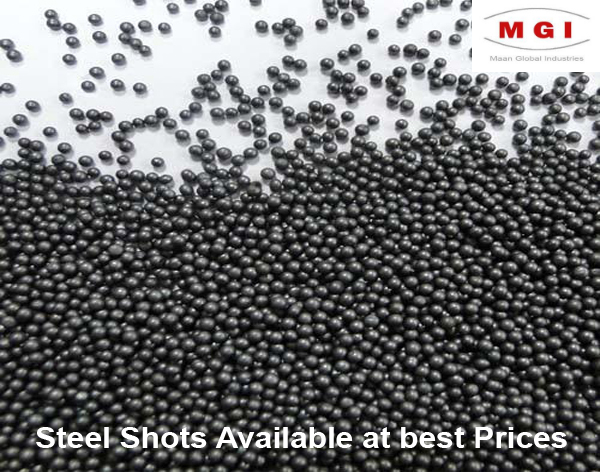 Looking for best Steel Shot supplier in India Call us or email us.